With the upcoming Royal Wedding revving up dreams of spectacular hats, we look to the art of fashion-particularly those fabulous accessories adorning the head. Major museums, like the Legion of Honor in San Francisco, have dedicated exhibitions to the art of hat making. Daniel Coves, Back Steier No. 5, Oil on canvas, Arcadia Contemporary. Click to inquire. With the upcoming Royal Wedding revving up dreams of spectacular hats, we look to the art of fashion-particularly those fabulous accessories adorning the head. Major museums, like the Legion of Honor in San Francisco, have dedicated exhibitions to the art of hat making. 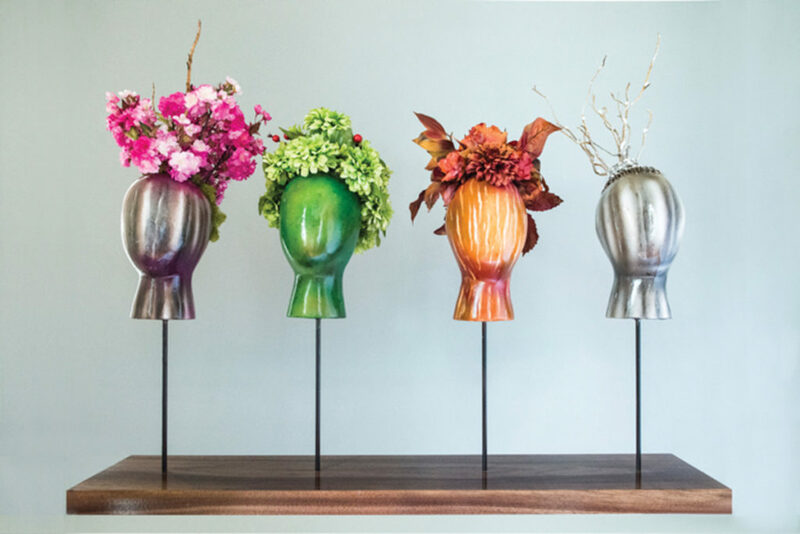 Sinuhe Vega Negrin, The Four Seasons from the Artifacts series, 2017 Oil painted fiberglass and synthetic flora sculpture on iron and wood pedestal, LnS Gallery. Click to inquire. 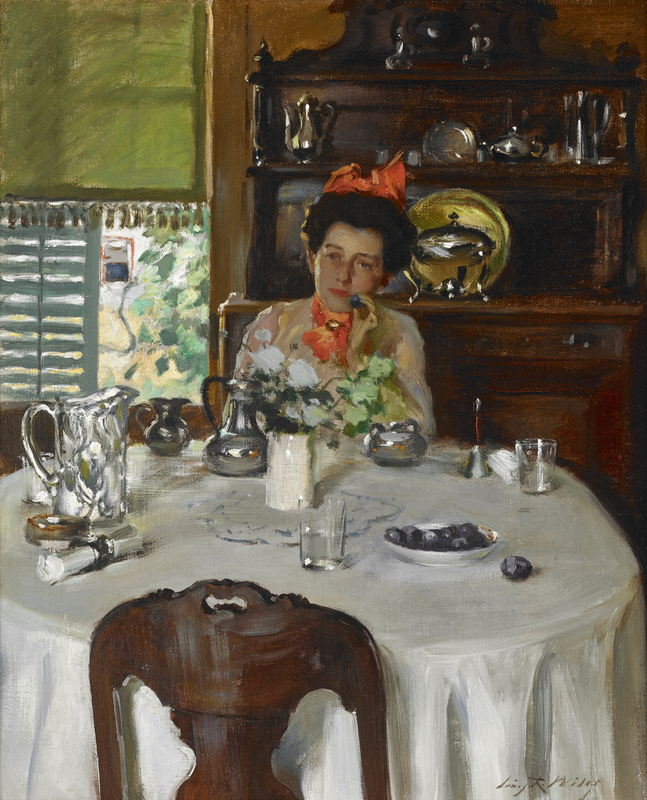 Irving Ramsey Wiles, Woman at a Table, Oil on canvas, Avery Galleries. Click to inquire. At the Milliners, Impressionist painters captured the latest french fashions of the bourgeoise. Hats, throughout the the 19th and 20th centuries have been identity and social markers. 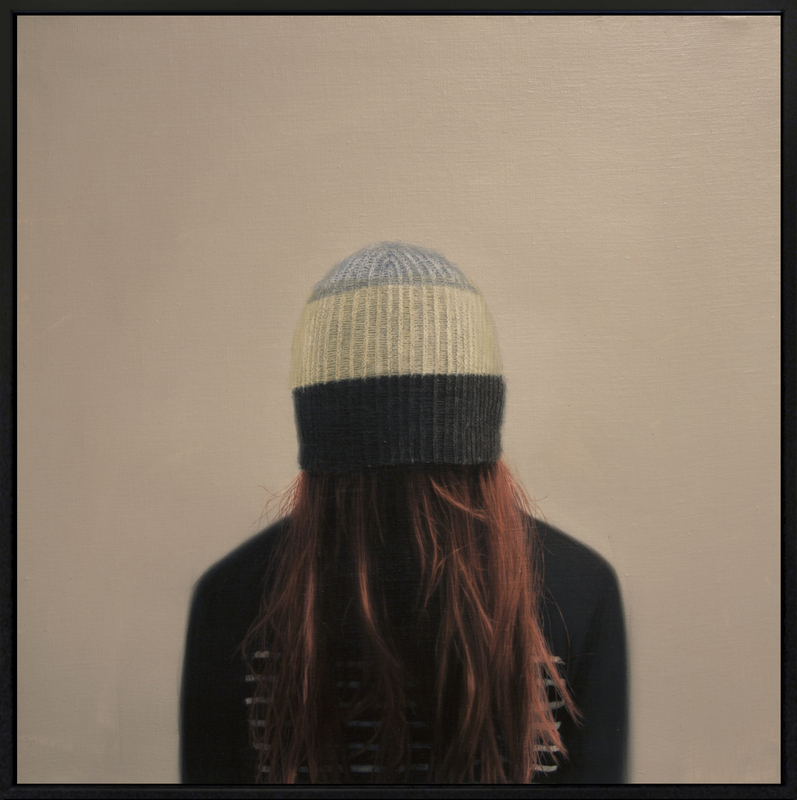 In the photographs of Contessa Gallery, laborers wear newsboy caps, in a Questroyal painting, the artist glamorizes traditional Italian hats: the styles abound. Paintings and other mediums instantly date their subjects through style which designers are rethinking and re-appropriating for modern times. 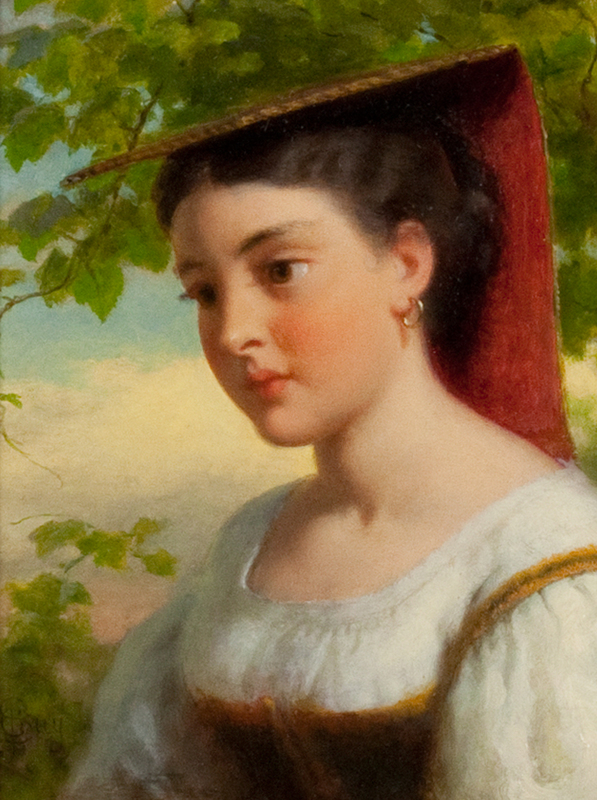 Seymour Joseph Guy, Young Woman in Traditional Italian Dress, Oil on board, Questroyal Fine Art. Click to inquire. 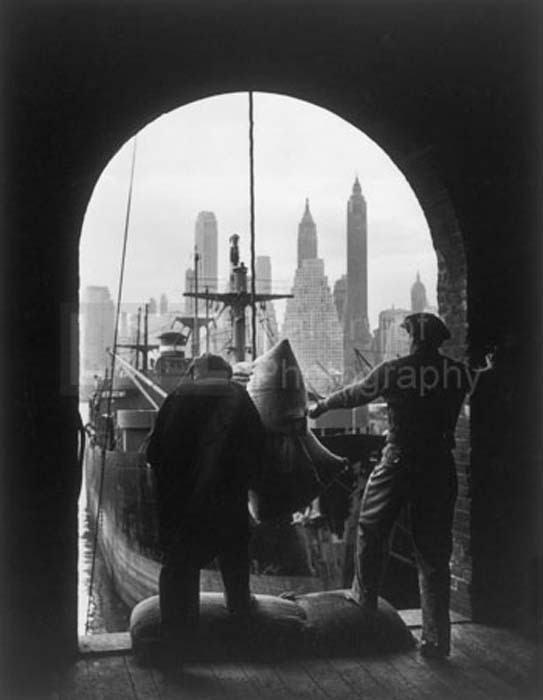 Andreas Feininger, Unloading Coffee at Brooklyn Dock, New York, Silver gelatin print, Contessa Gallery. Click to inquire. Beyond keeping us warm or shielding us from the sun, hats extend personalities, allowing wearers to become new characters: the ultimate fashion statements. Which hat is for you? 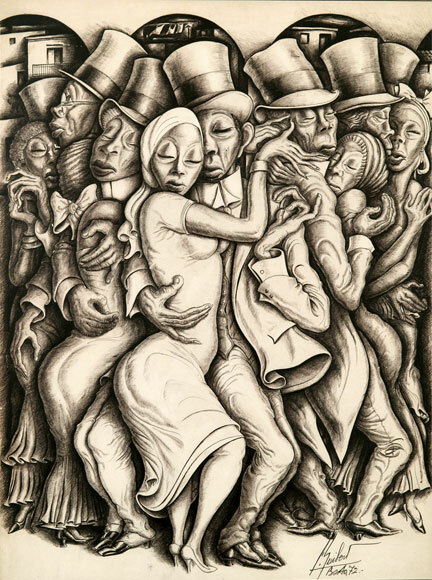 Ignacio Guibert Amor, Untitled (Dancers), 1972, Ink on paper. David Cook Galleries. Click to inquire. 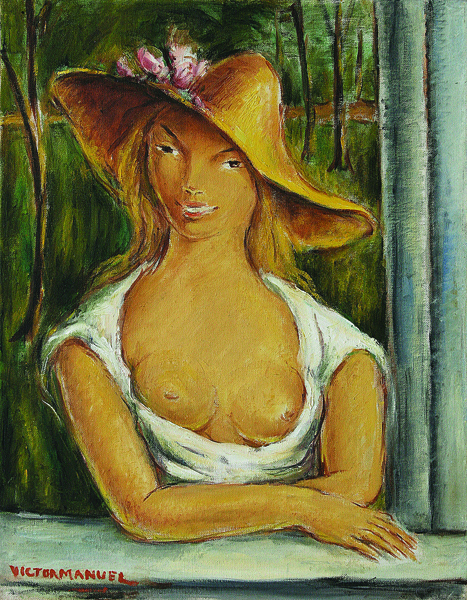 Victor Manuel Garcia, Mujer Con Sombrero, Oil on canvas board, Cernuda Arte. Click to inquire.